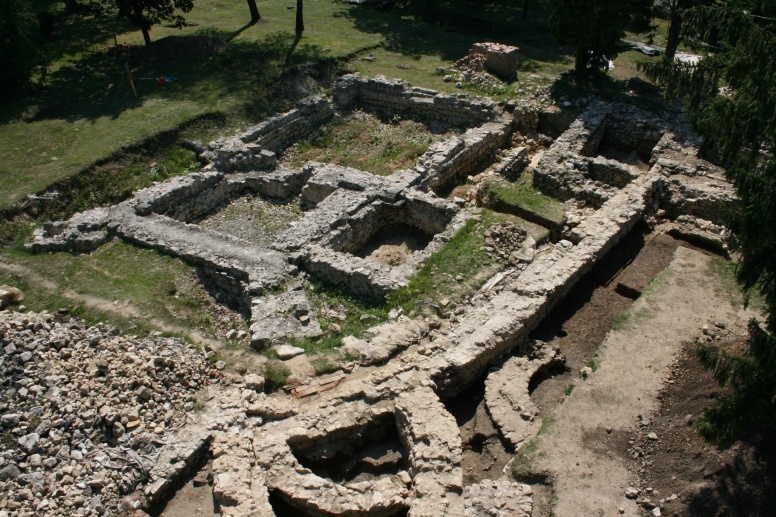 The site of the Castle is situated in the main park in the centre of Ivanec, a town situated twenty or so kilometres to the south-west of Varaždin. Until the middle of the last century, a Renaissance castle stood there, on the plateau adjacent to the parish church. 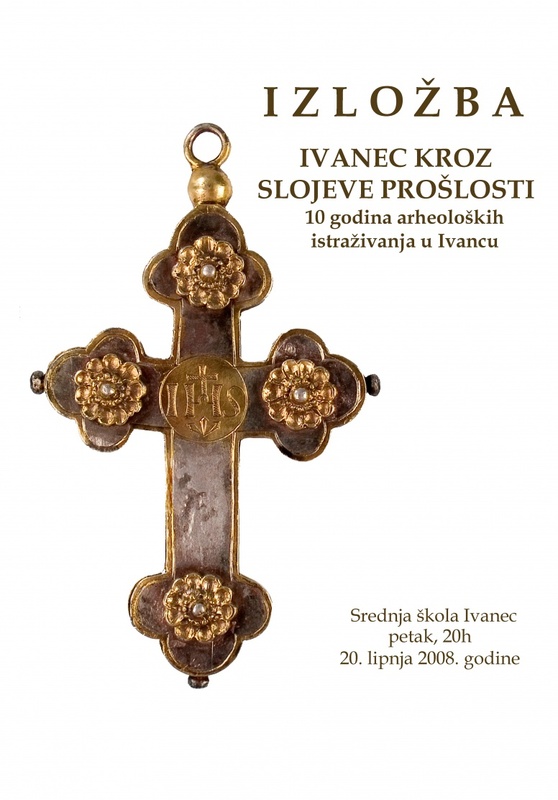 In 1998, the town of Ivanec invited the Institute of Archaeology to uncover the foundations of that lost symbol of Ivanec. The several-year long excavations that ensued revealed that the stratification of the site was much more complex and interesting, and that the continuity of habitation at the site was much longer than initially thought. 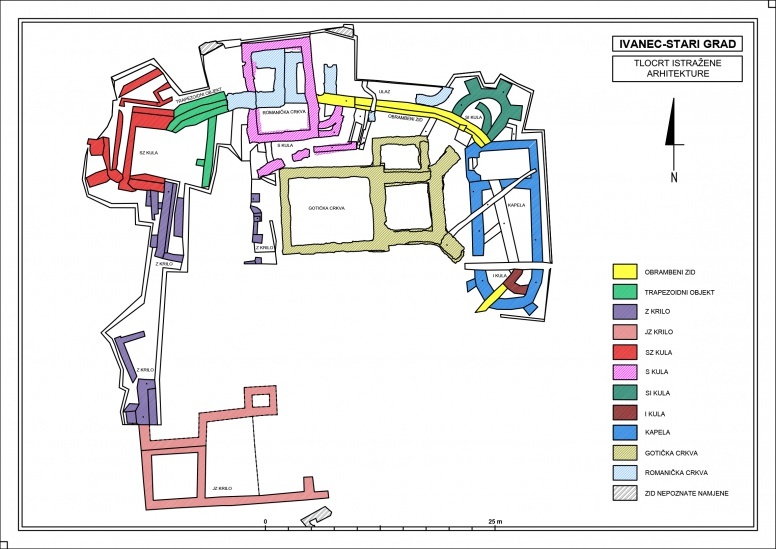 For instance, the investigations uncovered the foundations of certain segments of the castle, among which the fortification wall with four defence towers can be singled out, as well as the foundations of the west and south-west wings of the town, and Baroque chapels in its eastern part. A deep defence ditch was discovered adjacent to the central, oldest tower. Foundations of a Gothic church of St. John the Baptist discovered in the castle courtyard are the legacy of the Knights Hospitaller. The strong-walled sanctuary with massive counterforts may have served as the donjon of the Hospitallers. A little to the north lies the site of an older, Romanesque church with a semi-circular apse. It had a narthex and a massive church bell-tower that was later erected next to it. So far around 320 graves were excavated at the site, divided into five phases, mainly based on stratigraphic relationships. It has been established that burials around the Romanesque and Gothic churches were practiced continuously from the end of the 11th until the beginning of the 17th century. The osteological assemblage was analysed by contemporary anthropological methods. A testimony to an even earlier period is found in an exceptionally sticky and compact, black cultural layer, formed during the 9th and 10th centuries. Since no traces of building activity were documented there, it might be connected with a possible pre-Slavic sanctuary. It was precisely in the area of Ivanec that the first mythical pre-Slavic stage with a triangular structure was discovered, on which, following specific rules, the main protagonists were positioned: Perun the Thunderer, his adversary Veles and his wife Mokoš, as well as their children Jarilo/Juraj/Ivan and Mara. Such a “sacred stage” allows us to assume that already during pre-feudal times a parish town may have existed here in the area of Ivanec. Beneath the mentioned mediaeval layer there was another similar layer, but brown, with finds from Antiquity, bearing testimony to the existence of a Roman settlement, mostly during the 2nd, 3rd and 4th centuries: fragments of pottery and glass bracelets, bricks and tegulae, daub and other material. 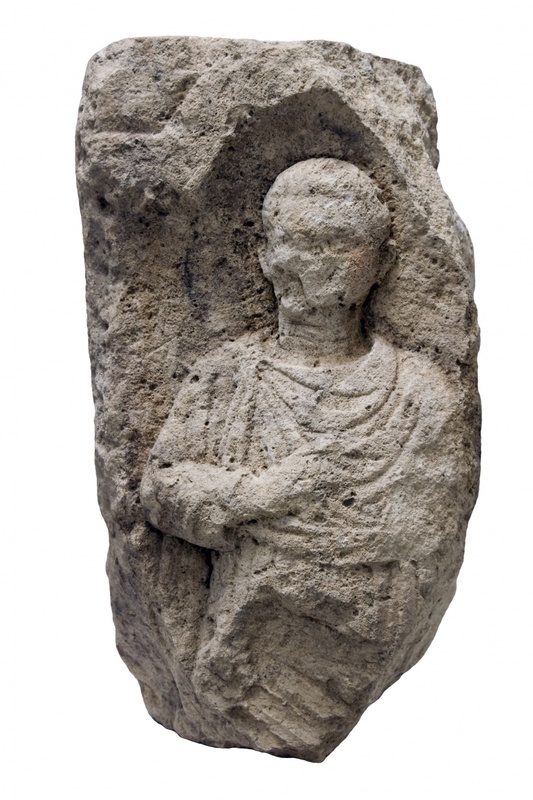 The most representative find of that period is the fragment of a tombstone decorated with human figures in relief, dating from the 3rd century. The site has also yielded sporadic fragments of prehistoric pottery, albeit none of these finds can be attributed to a specific context. 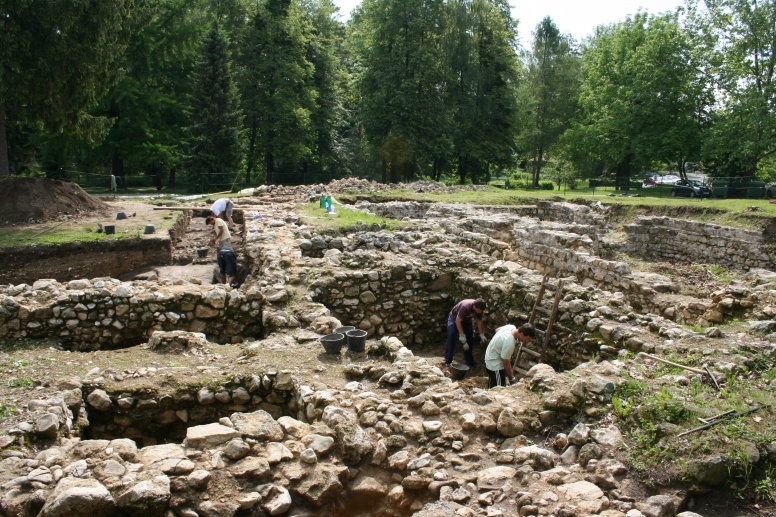 The ongoing scientific and expert analyses of the collected finds and samples bring us closer to the set goal: a monographic publication of the Ivanec-Castle site and the presentation of the most interesting architectural remains as part of an archaeological park. Belaj, J. 2013., Ivanec – Stari grad: osvrt na arheološku prošlost nalazišta, u: Dnevnik jednog arheologa, Prof. dr. sc. Željku Tomičiću uz 70. rođendan. Buzov, M. (ur. ), Zagreb, 25–32. Belaj, J. Migotti B. 2012, Rimski grobni spomenik s lokaliteta Stari grad u Ivancu / Roman headstone from the site of Stari grad in Ivanec, Prilozi Instituta za arheologiju u Zagrebu, vol. 28, 147–168. Belaj, J. 2012, Arheološka istraživanja lokaliteta Stari grad u Ivancu (2007. – 2010. ), Izdanja Hrvatskog arheološkog društva, Vol. 28 (= Arheologija varaždinskog kraja i srednjeg Podravlja), 215–225. Krznar, S., Belaj J., Bedić Ž. 2011, Prilog poznavanju nasilja u kasnosrednjovjekovnom Ivancu (grobovi 202 i 204) / A Contribution to the Knowledge of Violence in the Late Middle Ages in Ivanec (graves 202 and 204), Prilozi Instituta za arheologiju u Zagrebu, vol. 27, 225–240. Belaj, J. 2010, Arheološka istraživanja u Ivancu na lokalitetu Stari grad. Izdanja Hrvatskog arheološkog društva, Vol. 25 (= 100 godina Arheološkog muzeja Istre u Puli: Nova arheološka istraživanja u Hrvatskoj), 225–244. Belaj, J. 2009, Bela - ivanovački burg na Ivanščici / Bela – the Burg of the Knights of St John on the Ivanščica Mountain, Prilozi Instituta za arheologiju u Zagrebu, 25, 155-182. Belaj, J. 2008, Ivanec kroz slojeve prošlosti. Deset godina arheoloških istraživanja u Ivancu. Grad Ivanec i Mini-prin-logo, Ivanec.